Make gift-giving easy for your loyal customers. Gift cards let your loyal customers bring you more loyal customers, and with the organic Electric Garden design, everyone will be happy. A stylish, floral themed gift card in blue gray and green helps your business look fashionable. 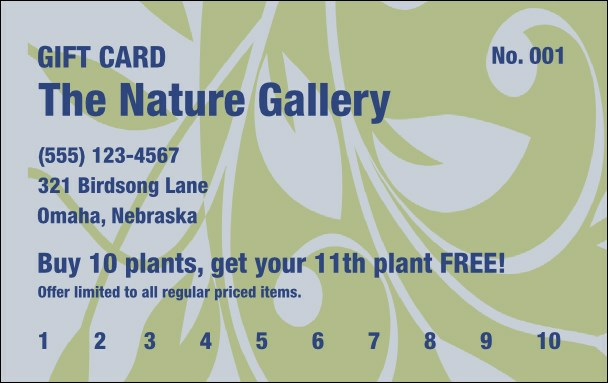 Find the perfect gift card for your boutique at TicketPrinting.com.